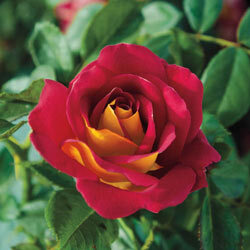 Ketchup & Mustard Floribunda Rose | Michigan Bulb Co. Vibrant display of bright red and dark yellow flowers is sure to get attention in the garden and floral displays. 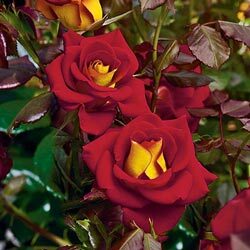 This delightful floribunda rose has a nice, rounded habit. 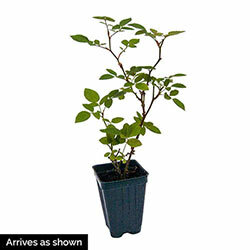 Foliage Type: Bright apple green, glossy. Flower Form: Formal, spiraled blooms.